To listen to this Expert Podcast please LOGIN or CONTACT US to subscribe. Dr. Marjorie Dixon, MD, FRCSC, FACOG, co-founded First Steps Fertility after many years in practice in order to execute her vision of reproductive medicine where evidence-based medical care could be balanced with compassion for all patients who struggle to create their families. Dr. Dixon is a graduate of the McGill University’s School of Medicine. Her initial postgraduate training was at the University of Toronto, in Obstetrics and Gynecology. Her passion for reproductive medicine continued during her postgraduate training with a 3 year subspecialty, American Board of Obstetrics and Gynecology accredited fellowship in Reproductive Endocrinology and Infertility at the University of Vermont. 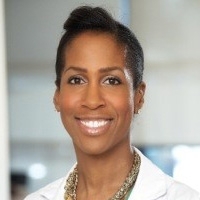 Dr. Dixon is an active member of the Department of Obstetrics and Gynecology at Sunnybrook Health Sciences Center and holds the position of Assistant Professor at the University of Toronto, where she actively participates in medical student and resident education. She has presented research at both national and international conferences. Dr. Dixon has been published in peer-reviewed journals throughout her career on topics ranging from endometriosis and thromboembolic risk during IVF, to the immunology of pregnancy loss. In addition, she is involved in physician/community outreach, offering lectures and information sessions to facilitate the management of patients through the often challenging process of dealing with infertility. She has been involved in the development of a documentary for the Discovery Channel looking at the reproductive system and sat on the Ontario government’s expert panel on Infertility and Adoption which developed the document ÒRaising ExpectationsÓ. The goal of the panel was to advise the Ontario government on how to improve access to fertility treatments and monitoring, as well as how to improve Ontario’s adoption system. Dr. Dixon has several professional affiliations including the American Society of Reproductive Medicine, the Canadian Fertility and Andrology Society, the American College of Obstetrics and Gynecology, and the Society of Obstetricians and Gynecologists of Canada. As a recognized expert in her field, Dr. Dixon is often asked to comment on newsworthy topics related to women’s health in the media. She appears monthly on Cityline as a part of their trusted group of experts often speaking to her responsibility and champion of women’s health and reproductive well-being. Click on this link to watch Dr. Marjorie Dixon’s segments on important women’s health topics: Cityline’s Health & Family segment (runs the last Wednesday of every month).